Mukesh Ambani-led Reliance Jio is likely to launch the Fiber To The Home (FTTH) service in India by Diwali this year; and if the sources are to be believed, the pricing will be disruptive. Reliance Jio stirred the markets with its Jio 4G VoLTE services in India by offering it absolutely free of cost to everyone for a period of six months and then extending it with innovative offers. The impact of Jio was such that the leading telecom operators had to see a dip in the revenues. Jio gained about 10% market share within a short period of time; and expects to repeat history with the launch of JioFiber. The FTTH service operates by installing an ONT device at the subscriber's place and connecting it directly with a fiber optic cable. The biggest advantage of the service is that it offers very reliable Internet connection at large speeds; about 20 to 100 times faster than with typical cable modem. In India, the broadband penetration continues to be a challenge. As of now, BSNL is the leading FTTH service provider across India. Sources have revealed that the JioFiber is currently being tested in a few cities and the trial is likely to conclude in September. After the trial Reliance will formally announce the plans. Jio has not commented on the development yet. Mr. Rohan Dhamija, partner and head for India at Analysys Mason said that the JioFiber service is definitely going to be disruptive. He said that Jio's FTTH technology is superior to the rivals and is going to be powered by larger capacity coupled with innovative pricing. 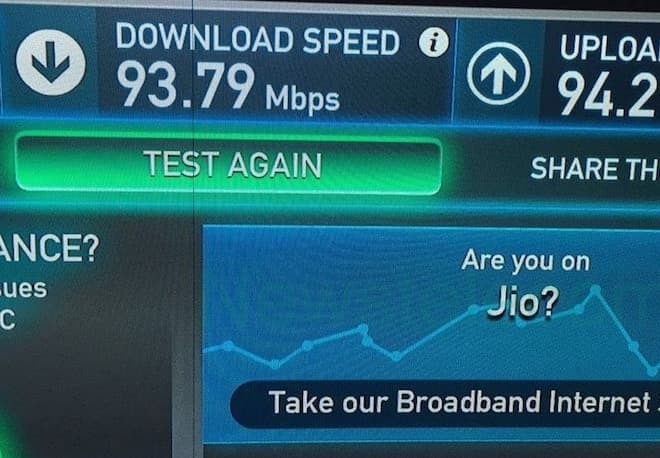 JioFiber's toughest competitor, though in select cities, is going to be ACT Fibernet. ACT recently announced 1Gbps Internet @ Rs. 5999 per month and it's going to be tough for Jio to eat into ACT's lunch. We'll have to wait to see what tariff plans and offers JioFiber comes up with to lure the heavy broadband users. We'll keep you posted. This will indeed kill competitions.